There are specific, surprising ways in which the value of a credit rating can change or be determined. Who gets ratings, what are the requirements, and what do they actually determine? Speakers Include: Nick Gesue (Moderator), Chief Credit Officer, Lancaster Pollard, Gerald T. Grant, Executive Vice President and CFO, ACTS Retirement-Life Communities, Stephen Infranco, Director, Public Finance, Standard & Poor’s, and Gary Sokolow, Director, Public Finance Healthcare Group, Fitch Ratings. 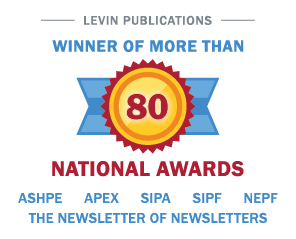 Go to https://www.levinassociates.com/1203b-online-conference or call 1-800-248-1668 to register.